No university in the UK has offered a better student experience over the last decade than Loughborough, a national survey has revealed. The annual Times Higher Education (THE) Student Experience Survey is based on the views of students about their university experience across 21 criteria including teaching, accommodation, facilities and social aspects. In the 2017 table, Loughborough is second in the country. Since the survey began in 2006, Loughborough has topped the table seven times and come top five no less than 10 times. Loughborough has just been named the best sporting university in the world in the global QS higher education league table. It is the first time the annual QS World University Rankings by Subject included a list of the world’s best places to study sports-related subjects, and Loughborough ranked joint-first with the University of Sydney in Australia. 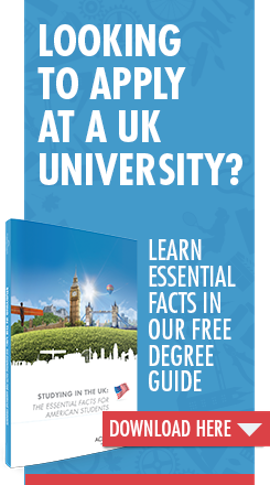 The Times Higher Education’s ‘Table of Tables’ is a ranking system that compares the UK’s top 30 universities’ performance in three league tables, which are considered the UK’s primary rankings lists – the Times and Sunday Times Good University Guide, The Guardian University Guide, and the Complete University Guide. These universities’ combined performance on these three lists is, therefore, the best overall indicator of that university’s league standing. As an American student wanting to study in Europe, but not knowing where to begin, Across the Pond was such a great help. I played basketball at college and heard through friends that the eligibility rules were different in the UK, so I could continue playing basketball whilst studying for my Master's. Leaving home and travelling across the Atlantic to come and study in the UK I wanted to make sure I was choosing the best place possible to study. I spent 4 months researching the rankings of the course and university as well as the location in terms of travelling within Europe.